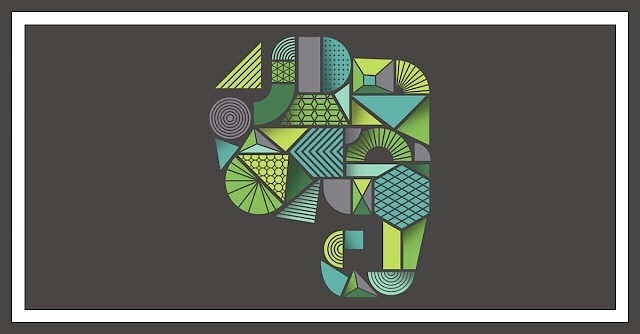 In part 1 of this 2 Part series I discuss how and why I first fell in love with Evernote. 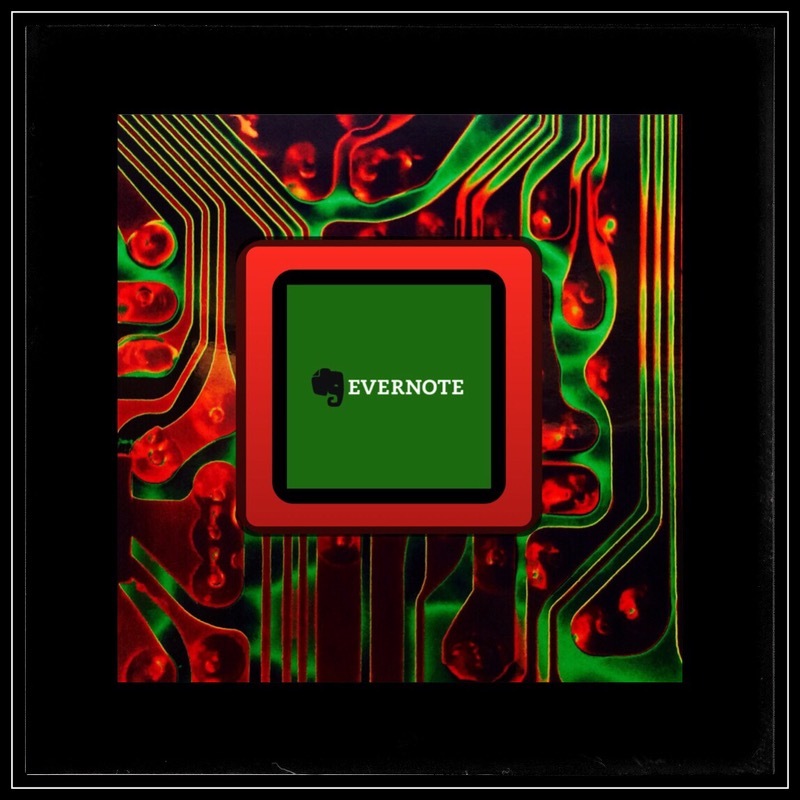 In this part I’ll attempt to describe & illustrate the many of the ways in which I actually use Evernote. I felt this might be helpful because several friends have asked me about this and my verbal explanations always seem to fall short. So, by having the ability to illustrate with examples here, I’m hoping that my usage will be made clearer and that this might even possibly motivate someone else that I’m close to, to join me in adopting use of Evernote and celebrating all the powerful features that it brings to the table to improve our daily lives and especially our productivity. There have been some great TV shows on recently about the origins of home computers and how the Internet grew to gain such acceptance with the general public. I, like all of my baby boom compatriots, have enjoyed living through this fascinating period of time. I suspect that even those of us who are really history buffs find that looking back on this time is really interesting. Maybe because it just wasn’t very long ago…yet the changes brought about within our society on such a global scale are so profound. So I’ve been building a small directory for my own purposes to keep track of important developments and people during this era. I thought that this category might offer the perfect subject to illustrate how I use Evernote for my friends who seem to truly want to understand what I love about it. Knowledge | Know All & Math This is one of my stacks in Evernote…a stack is like a filing cabinet in that it groups a lot of similar notebooks together. Within my ‘Knowledge‘ stack are several notebooks that I use to capture historical gems or information that I don’t want to forget. Anytime I run across something that’s fascinating or interesting, or something that I just don’t want to forget, I use Evernote’s screen clipping feature to quickly capture it into a new note. I also have several notebooks designated for keeping track of words, their roots, phrases, sayings, adages, rules of thumb, clichés etc. I began this page a while back with just a few entries that I ran across while randomly reading things online (ok…that was really about a year and a half ago.) At the bottom of this webpage I’ll try to remember to include a comment section for others to share their knowledge. If anyone actually does that, I’ll add their content to this page after ascertaining that the information is valid. Co-chair of the Bill & Melinda Gates Foundation; Chairman and Founder of Microsoft. He’s essentially the guy responsible for creating Windows and which ‘powers’ most of the world’s home computers (also referred to as PC’s). Windows currently (in Jan 2016) claims about 89% of the total desktop computer market share, whereas Apple computers claim around 6% and other, meaning Linux machine, claim the remaining 5%. Entrepreneur and investor who cofounded Microsoft with Bill Gates. He wrote QDOS, an operating system that he sold to Bill Gates. Gates rebranded it as MS-DOS and it became the most widely used operating system in the world. Steve Jobs was Apple Computer’s famous co-founder and CEO. He’s widely credited for creating the Apple we know today, he was inspirational to many technology and business leaders. His brilliance lie in understanding what the public desired in terms of innovative technology and finding the right people to create products that more than satisfied those needs. Stephen Wozniak, was the engineer working alongside Steve Jobs, who created the first Mac computer that Apple Computers foundation was built upon . Their combined brilliance revolutionized the computing industry, and helped to bring personal computers into the homes of the general public. He most known for inventing the computer mouse but he was also a pioneer in the design of interactive computer environments, creating early GUI’s and was part of a team that develops the now ubiquitous hypertext. He wrote HyperText Transfer Protocol (HTTP), HyperText Markup Language (HTML), the programming language and protocol for the World Wide Web as well as the first ever web browser, named appropriately WorldWideWeb. Founder of the whistle blowing website Wikileaks. American entrepreneur, founder and CEO of Amazon.. Led Google’s development team for 10 years and then became CEO OF Yahoo. From Wausau, Wisconsin. Internet entrepreneur and originator of MySpace, first a music sharing and then a social networking site. A computer scientist and engineer who he,led to develop color PC monitors, Industry Standard Architecture system buses and the first gigahertz chip. An inventor in the 1700’s who developed plans for the first mechanical computers used to solve complex math equations. Engineer and co-winner of the 1956 Nobel Proze for Physics for the invention of the transistor. The team helped to pioneer Transmission Control Protocol and the Internet Protocol better known as TCP/IP. These are fundamental communications technologies at the very heart of the Internet. Will wrote the first computer game called Adventure. It was a text based game written in Fortran on a DEC computer that used a lot of caver jargon. A few years later, around 1976 Don Woods, working at Atanford University’s AI lab also known as SAIL, found the game , found Crowthers and got his blessing to expand it, which he did…a lot. Jim Gillogly at Rand Corporation ported the code to C for UNIX, and later to Heathkit and IBM PC’s with help from Walt Bilofsky and eventually it was marketed in 1981 under the name of ‘The Original Adventure’. Ultimately the game spread Ike wildfire across the Internet. Science fiction author and one pioneer of the cyberpunk movement, he authored Neuromancer. Developed the Atanasoff-Berry Computer credited as being the 1st electronic digital computer. A computer programmer who helped to develop a compiler that was the precursor to the COBOL programming language. She also coined the word debugging. Iranian-American economist and founder of eBay. Jointly they invented what is perhaps the most important computer programming language of all time…UNIX. Brother’s that cofounded Broderbund Software which in turn released some of the most iconic computer games of the 19080’s-1990’s including Myst. Husband and wife team hat cofounded On-Line Systems…later it became Sierra OnLine and was known for producing graphical adventure computer games. A member of the Homebrew Computer a Club in 1975 where he unveiled his singing computer. An original member of the Homebrew Computer Club. He designed and mass produced the first personal computer known as the Osborn I. He was a supercomputer architect whose computers were the fastest in the world for many decades. He set the standards for modern computing today. Entrepreneur and business executive who ran Netscape as CEO from 1995-1999. An engineer, technology executive and venture capitalist best known for inventing Ethernet. Cofounded and served as CEO of AOL where he oversaw the merger between AOL and Time Warner which he than headed as CEO. Award winning co-inventor of the first general purpose digital computer ENIAC. Mathematician and engineer who conceived the idea for Mark I. an electromechanical computer that was the forerunner to modern computers. The executive from Apple who forced Steve Jobs to leave Apple. Originally the list above began as alphabetically, but somewhere along the line I abandoned that…yet I’ve still not delved too far past the first few letters of the alphabet in terms of name. This is a work in progress that I published to get it done! All American Speakers (dot com) is a service geared towards connecting influential business & motivational leaders and celebrities, to groups who are searching for interesting speakers for functions and events. The markets they serve range from commencement speakers to private corporate retreats. My first few links take you to subject areas within their vast informational databases.